In the bowl of stand mixer, combine the water, yeast, sugar, shortening, eggs, salt, and 2 cups of flour. Beat with the paddle attachment until mostly smooth, about 2 minutes. Switch to the dough hook and gradually add the remaining 4 ½ cups of flour. Knead with the dough hook on medium-low speed until the dough pulls away from the sides of bowl. If the dough is sticky, add up to ¼ cup additional flour. 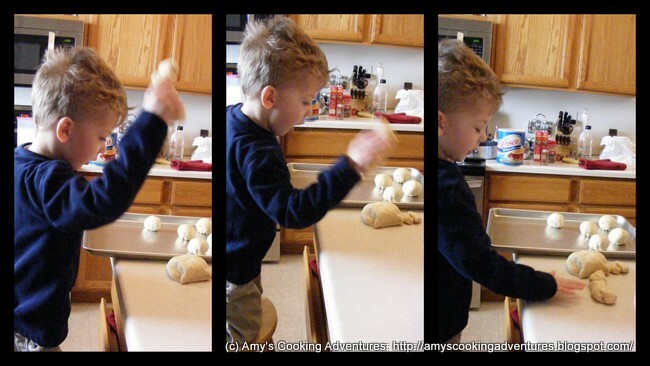 Turn the dough out onto a lightly floured surface and knead a couple times to form a smooth ball. Place the dough in a greased bowl and cover lightly with plastic wrap. Put in a warm place to rise until the dough is light and doubled; about 1 hour. Cut the dough into 2 ½ - 3 ounce pieces. Toss each piece against the counter once of twice to remove any remaining air bubbles. Bring the edges of the dough down to the bottom and pinch tightly. Place the rolls, seam side down, 2-3 inches apart onto baking sheets. Gently press down on each roll to flatten slightly. Cover the trays with a damp towel and allow to rise until they feel soft and light; 20-30 minutes. Prepare the egg wash by beating together the remaining egg and 1 teaspoon water. Brush the tops and sides of the rolls with the egg wash and sprinkle with sesame seeds. Place the rolls into the preheated oven and bake for 15 minutes or until golden brown. Move to wire racks and cool completely. Love it! Love it. I always enjoy seeing family recipes. These look great! Hi Carrie - I think any solid fat would work - perhaps butter or coconut oil (though either would lend some flavor to the bun) If you try something, I'd love to hear how id turns out! Hey- I noticed it says to make the egg wash using the "remaining egg" and panicked because I already made the dough, using two eggs. Is there supposed to be one or two eggs in the dough?? These look great! My name is Katie and I host Fall Into the Holidays, now open. All entries get pinned. I would love to have you link up! These buns look AMAZING!!!!! They look so perfectly baked!!! I'm sure they are so good fresh out of the oven!!!!! These buns look so wonderful, I love the idea of using bacon drippings! Thanks for linking up with What's Cookin' Wednesday!